DFA undersecretary Laura Quiambao-del Rosario, in an interview during the Clark in Action, a public affairs radio program of CDC, said the potential of Clark as an investment destination should be emphasized by CDC during the visit of the envoys from the APEC-member countries as this will generate interest and could be avenue where the ambassadors can assess Clark as possible investment site for their business leaders. “The potential of (Clark) is really tremendous and I think we can do a lot, not only in the field of tourism, but also in the field of services and in the field of leisure,” Del Rosario said. “They (referring to CDC officials) should expose what Clark is… let them familiarize with the culture of Pampanga and show them the various investment possibilities of Clark has to offer for various countries,” said the DFA official in the radio program hosted by CDC external affairs manager Angelo C. Lopez, Jr.
Clark is set to host the APEC forum for the senior minister of the member countries next year. As part of economic diplomacy, the pillar of DFA, tries to present all investment priorities of the Philippines as she believes in the potential of Clark not only the field of investment but also in tourism, service and leisure. 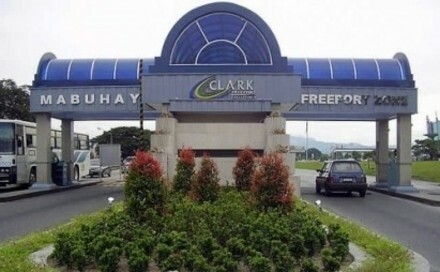 “The potential is really tremendous,” she said on what the Freeport can offer in terms of investments and other services that Clark can offer. She said that advantages of Clark in terms of location" is great, reachable by air, connectivity by air, the vast size of it." Due to the availability of space, Del Rosario said Clark can take advantage of the vast lands inside the zone which can be of use for warehousing, medical services and even educational services. "The only thing they are trying to look now is services sector. Many Filipinos do not realize that service is a field where we can do very good at," she als said.